The American born botanist, John Bartram discovered this unique understory tree in 1765 and named it in honor of Benjamin Franklin. This amazing tree was seen only along the bank of the Altamaha River in Georgia and today no longer exists in the wild. 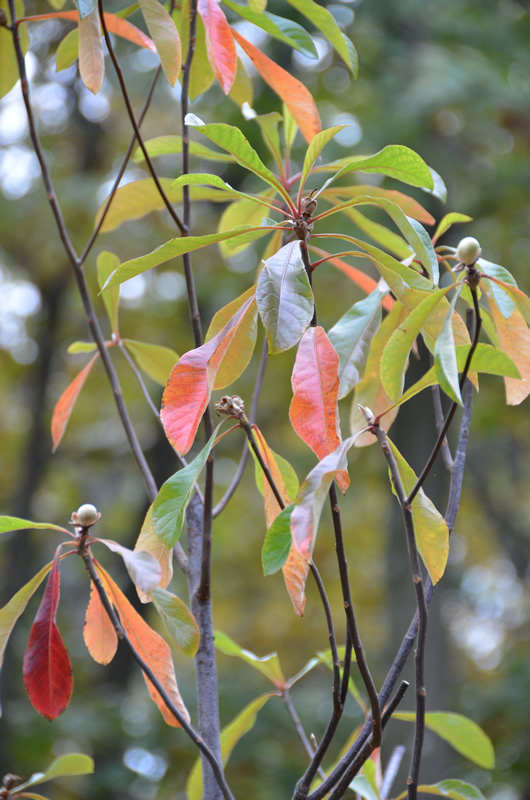 As the sightings of the Franklinia became more and more rare, the ones in Bartram’s home garden in Philadelphia flourished. The cupped, bright white-petaled fragrant blossom has a yolk yellow center resembling a fried egg. 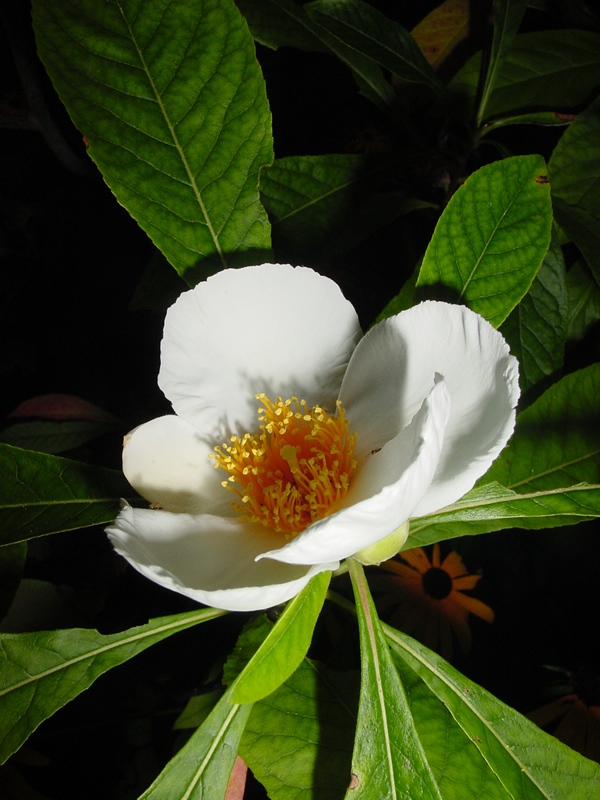 Nearing summer’s end, our Franklinia,tucked in along the white pine trees blooms down by our Pond, blooms profusely and is often smelled before seen. And the deep ruby red fall color is stunning. Truly, an award winning tree. Found in Zones 5 to 8.